Engage the enemy with caution – two tangos at 3 o’clock! 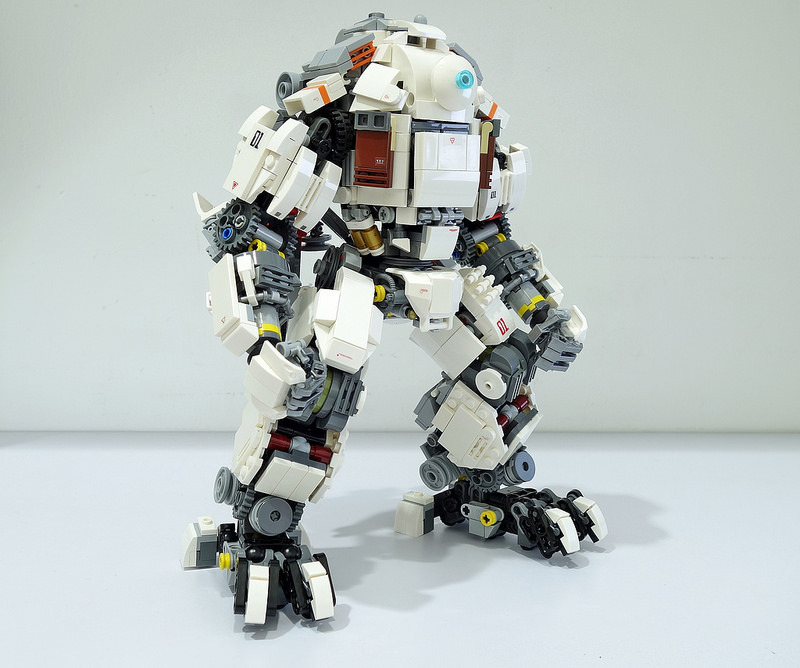 Singaporean builder Kelvin Low has put together quite an impressive construction of an Atlas Mech from Titanfall. This mech has excellent greebling, making it visually interesting and full of detail. Greebling isn’t easy; it’s a matter of using the right parts to make it work both in design and color selection. This mech does a good job on both.